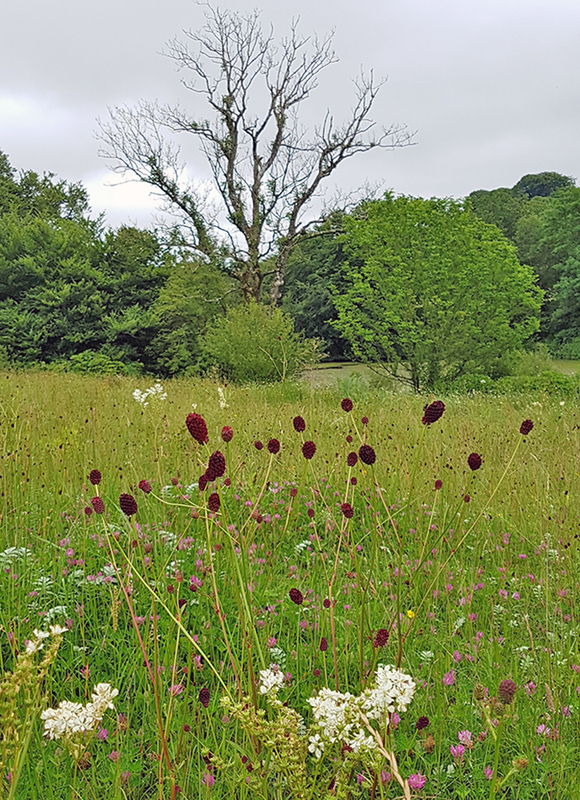 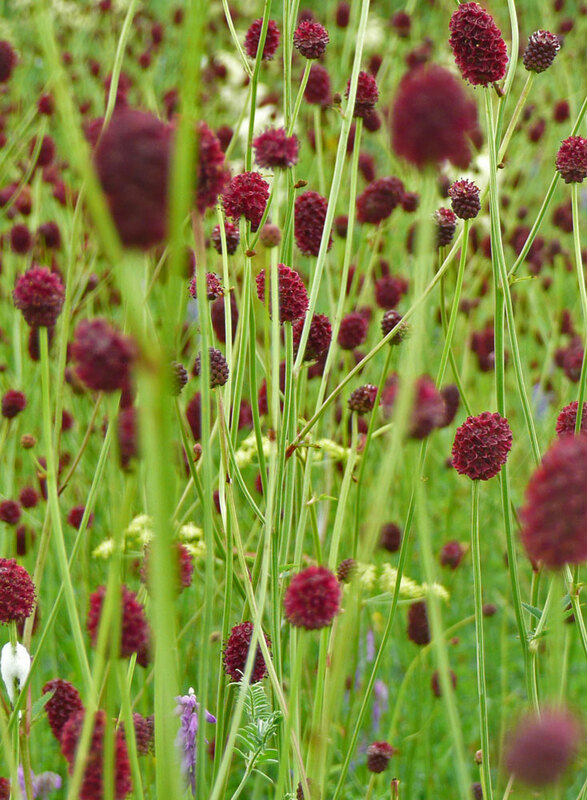 Great burnet is a tall, native perennial with an elongated flower head of burgundy coloured flowers. 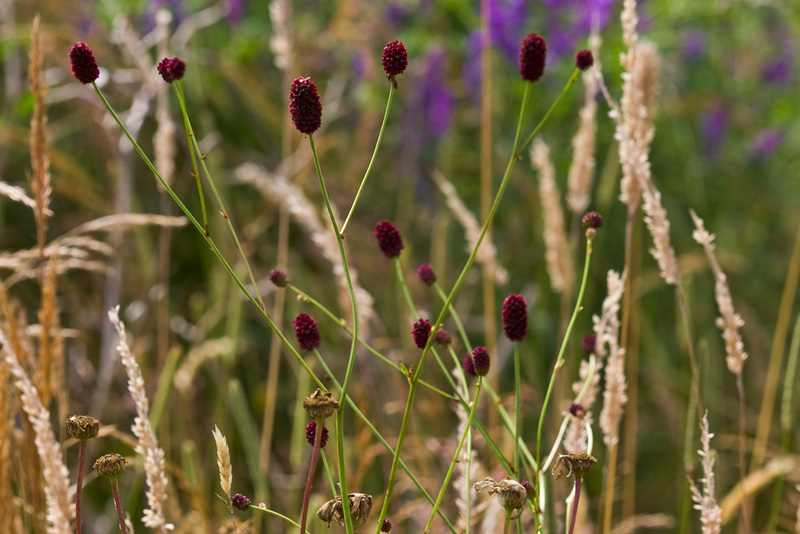 The pinnate leaves are green above, grey below and look a little like large Salad burnet leaves but do not smell of cucumber when crushed. 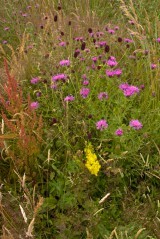 Flowering is from June to September. 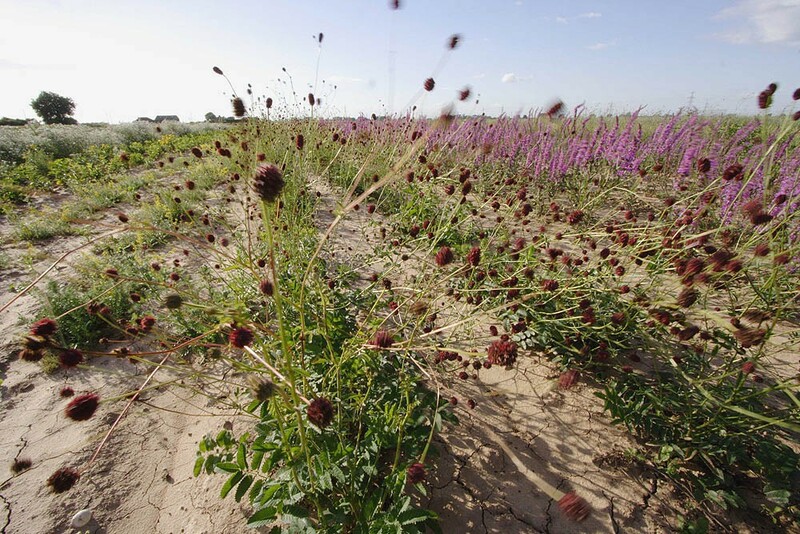 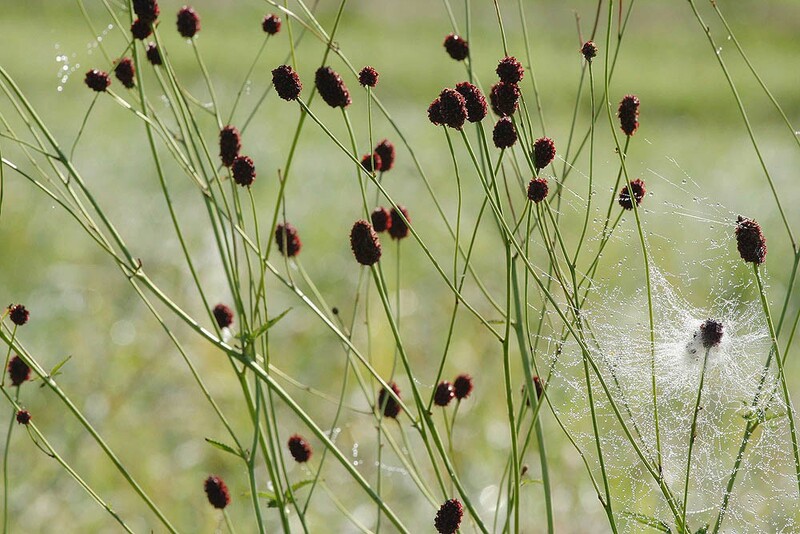 Great burnet is a clump forming perennial of neutral alluvial or peaty soils. 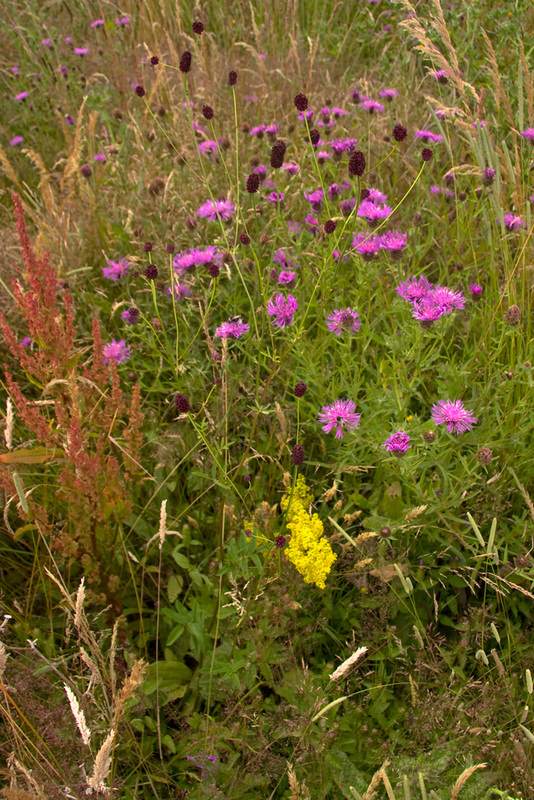 Although it can grow in dry situations it is commonly associated with damp grasslands such as unimproved hay meadows and marsh meadows or by the edges of rivers and lakes. Can be sown at any time of the year although probably best in the autumn.